Yes there are C missing as this is the 30m version. Picked up one of these at FDIM 2012 and put it together last night, took maybe 90 mins and I wasn't precious about it. The underside I have to clean the excess flux off yet. Bit too big for an Altoid tin. 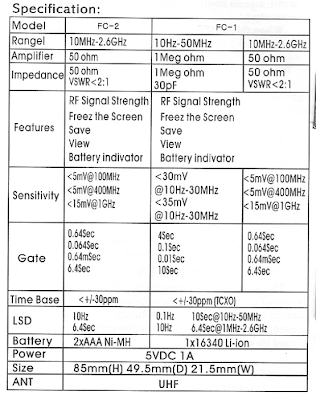 Top image is of the power and USB/uPC stage only... I had already stuffed all the resistors. The lower I soldered in the xtal and didn't bother with a socket. I always seem to wind the damned toroids back to front when lining up with a set of PCB holes. T1 he doesn't say how you should do it but I use a hint given to me a few years back and use a small hand drill and pre twist the bifilar winding in it, about 10 turns per inch, open the second image to see it clearer... T1 is the black toroid by the white BNC. 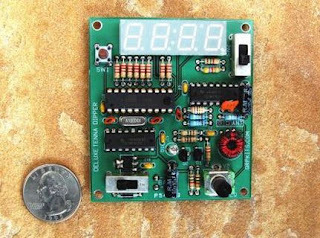 "OpenBeacon is an open source crystal-controlled QRPp beacon transmitter which can output a variety of slow-speed modes, including QRSS, DFCW, and Sequential Multi-tone Hellschreiber. It is configured via USB port, so there are no jumpers to set and you can easily adjust all of the operating parameters via command line. Once configuration is complete, OpenBeacon may be removed from the PC and operate stand-alone. OpenBeacon is considered a MEPT (manned experimental propagation transmitter), which means that you should never leave the control of it unattended. 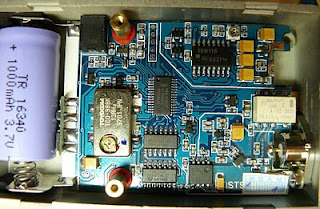 From the project website is here http://docs.etherkit.com/OpenBeacon and you can buy one online here http://www.etherkit.com/transmitters/openbeacon.html. 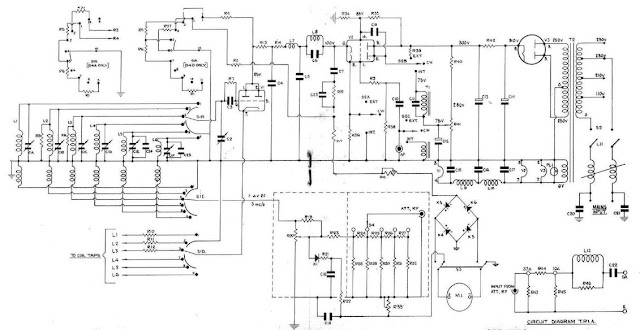 Once built I put the signal on scope etc and I measured about 310mW out when connected to a 7AH 12V SLA so for a QRSS beacon it is seriously QRO. I'll test it over the weekend and I think connected to the SLA with a solar trickle charger connected it would last for days/permanent. I tested mine with Linux (CentOS, Mint and Ubuntu) and Windows 7 and no problems with any of them and to chnage the message/mode just means a few commands are all that is needed. I applaud the use of a standard USB B port not one of those mini B ports that seem to be the rage right now. 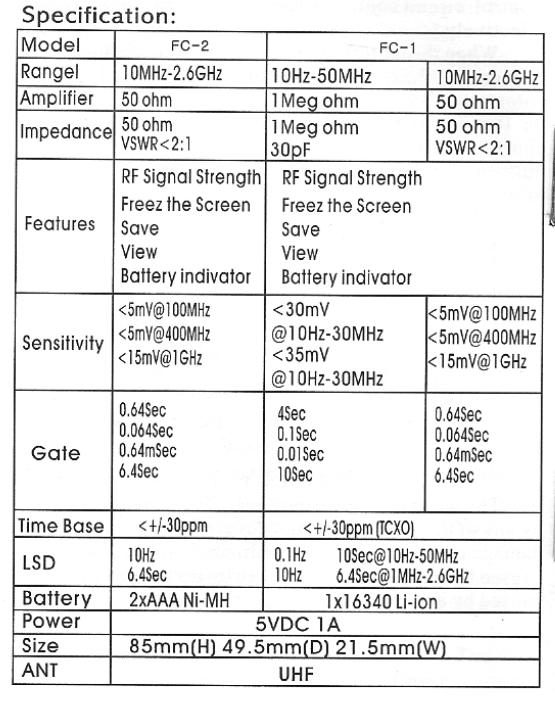 Not really sure the ISCP headers were needed but I guess if you want to reprogram the firmware you can. I think I'd have somehow added a power switch option to the PC so you can leave it plugged in. At FDIM 2012 / Dayton HamVention I picked up a dozen 6C4 triode valves. 1. Switched Bandpass filters for 20m and 80m. I have some interesting variable capacitors that will make these a little special. 2. RF amplifier (V1), typical triode RF Amp. 4. Franklin VFO at 5.0-5.5MHz (V4, V5) W2LYH QST, October 1961. Hans recent low drift VFO using dual valves is inspirational. I have an old Mecanno worm drive that I will investigate. I will also try to make a TX. I knew I would run into Doug Hendricks at FDIM2012/Dayton and I had asked him to put aside a couple of kits for me that he thought would be interesting. I have built several of Doug's kits in the past and I am a fan of Steve Weber KD1JV designs. 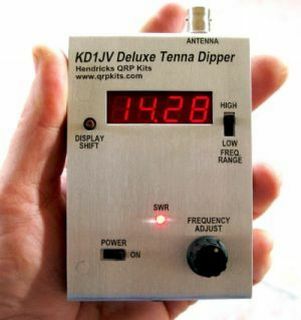 After a few conversations he came up to the G-QRP booth the following day and with the Deluxe Tenna dipper, Battery monitor and the SOTA tuner. Back home whilst waiting for lunch I put the Deluxe Tenna Dipper together. I'll replace the photos with my own soon. 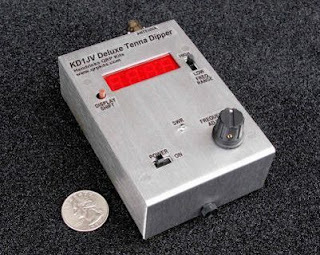 "The Deluxe Tenna Dipper provides a simple means of determining the 50 ohm resonant frequency of an HF antenna or ATU (Antenna Tuning Unit). The small size and battery operation makes the unit ideal for use in the field. It's perfect for antenna experimenters that don't want to tie a bunch of money up in the higher priced analyzers. It's even priced lower than most swr bridges, and this tells you "where" you are resonant, not just that it's matched, or not matched, like a simple swr bridge." Well it went together quickly and worked first time. I have not put the decals on the front yet I want to paint mine bright yellow first. And I have a feeling I might look at some sort of laminate cover to go over it to help keep it dry as I'll use /P and it is not always dry in UK. Only thing I had to add were a couple pieces of tape and some twisted pair (from CAT5 cable) for the antenna connection. A quick check with the bicycle ATX-100 and sure enough it finds the resonant tuning for each band in seconds. 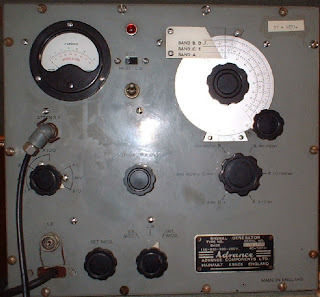 Well just taking a bit of time away from a project am working on some test kit I was given by brother of a G-QRP member when I visited the RSGB AGM A B4A Signal Generator. Was not supposed to be operational and it didn't turn on initially. I lashed up a mains fed to it as did not have the appropriate plug. Fitted shrink wrap over the exposed plugs, I'll repair that later. The main transformer had an open secondary, it was a simple 230V:250V with a centre tap output, and I had been keeping one with 6.3V windings for a valve project but this looked suitable and right size so swapped it out. The old one I'll rewind the secondary and reuse. I simply love the mains input choke. PL1 was duff so replaced with a screw in 6V MES bicycle bulb. Checked connectivity on the circuits. Insides (photos to follow) very clean. Initially with the 6X5GT removed turned it on and checked the heaters were all fine. Then put the 6X5GT back in and with the other valves removed tested the HT (301V) and other valve socket pins for the appropriate voltages. Seemed to loose the HT some where so thought maybe this was similar to the HRO problem so a quick once over with the home brew ESR meter and some of the bypass Dublier caps were proven to be open circuit. So rummage in the Dayton ham-fest brown bag of goodies and replaced three 350V paper tube 0.01uF and turned it on again. All seemed fine so turned off plugged in the three valves and turned on again waiting until heaters been on for a bit and then twiddled with the controls... The calibration is slightly off but I'll fix that. Nice rim dial control, must have slipped a bit. I do not have the RF/AF output leads so I might swap these (apologies all purists out there) for BNC or N type chassis connectors. 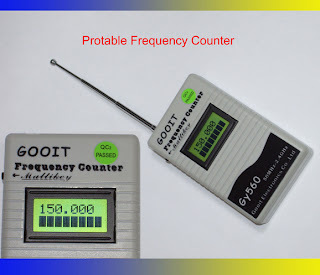 And I have a spare digital frequency counter so might add that too after adding a pre-scaler as the generator will go from 100KHz to 80MHz. Ever fed up with ever increasing ebay prices and those horrid shipping costs or waiting for the next rally and then never finding the valve I wanted I searched for a UK online alternative.This is the best option I have so far... and it is a trader that seems to have moved most of their stuff OFF ebay!